I’m Ed Smith, a Sacramento Products Liability Lawyer. Improperly installed defective trailer hitches can cause serious accidents with catastrophic and even fatal injuries. Both commercial and private vehicles are at risk for this sort of accident, no matter the size of their cargo. Trailers can detach from tow vehicles for a variety of reasons including poor design, defective mechanisms or parts, and user error. Always be sure to conduct safety inspections of both the tow vehicle and the trailer before you tow. It is also important to familiarize yourself with the specifications of your tow hitch and hardware to make sure you are within its operational parameters. 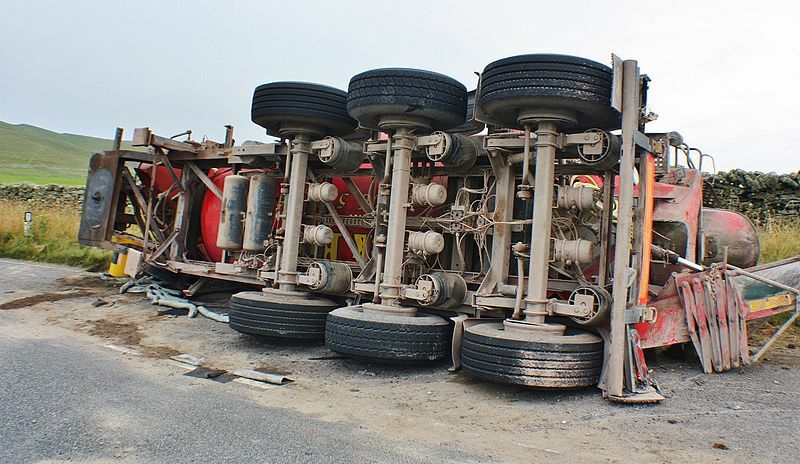 When a commercial vehicle suffers a trailer decoupling, the company that owns the vehicle will likely be held responsible for any ensuing damage or injuries. If the accident is found to have been caused by a defective hitch or product, the manufacture may be held liable. Rental agencies may also be found liable if a vehicle they have rented experiences a failure resulting in accidental trailer decoupling. In many cases, a private party’s auto insurance will cover damages caused by detached trailers, although this must be confirmed by reviewing the specifics of any given policy. It is important to note that large trailers may require their own comprehensive or collision coverage policies. Defective equipment is one of the leading causes of trailer hitch detachment. Accidents that occur because of faulty equipment can lead to product liability lawsuits for defective design, manufacturing defects, and or defective labeling. Flaws of this nature are the responsibility of the manufacturer. Unexpected trailer hitch detachment accidents can pose a serious risk to motorists. Common injuries include traumatic head and brain injuries, spinal cord trauma, facial laceration, bone fractures, and even death. Pedestrians are at particular risk of fatal injuries in this type of accident. Survivors of trailer hitch decoupling accidents often find themselves dealing with serious health concerns and mounting medical costs. If you or someone you love has been injured after a trailer decoupled unexpectedly, you may have grounds for a lawsuit to recover damages. For more information, contact an experienced Product Liability Lawyer in Sacramento. I’m Ed Smith, a Sacramento Products Liability Lawyer. Have you or someone close to you been hurt in an accident and need the help of a qualified attorney? Please reach out to me at (916) 921-6400 or (800) 404-5400 for compassionate, free and friendly advice. You can also find me online at AutoAccident.com. I have been assisting injured people with their recovery efforts in Sacramento since 1982. Visit Yelp, Avvo, and Google to read what my clients have to say about their experiences working with me. My case history of million-dollar awards and judgments has secured my place in the Million Dollar Forum. Take a moment to review some of my past Verdicts and Settlements.